It is a pleasure to bringing to the attention of our visitors the initiative of CNES and ISAE-SUPAERO for fostering studies and encouraging students of Orbital Systems. 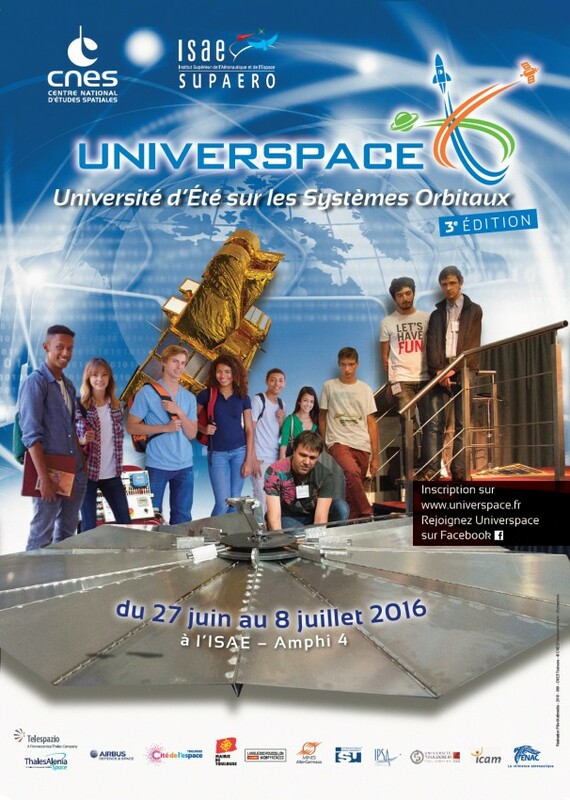 The summer school, already at its 3rd year, has its own website reachable at the address www.universpace.fr. Definitely interesting for students that could become future engineers and scientists on this sector, the school has limited place available and inscriptions will close the 21 June, make sure to visit this summer school for more info. Eucass wishes CNES and ISAE-SUPAERO a great success in their endeavor: nurturing interest in young generation for space applications or informing the public at large of the endless possibilities space offers is definitely noteworthy.